The city of Osaka is located on Honshu island, in Kansai Region, Osaka Prefecture. After Tokyo and Yokohama, Osaka is the third largest city in Japan. It is also part of the Keihanshin metropolis, together with Kyoto and Kobe. Osaka is a very nice city, with many gorgeous and breathtaking sight. The most important touristic sight of the city is probably Osaka Castle, but of course, the city is full of other interesting sights as well. These sights also include many parks and traditional Japanese gardens. Nowadays every city puts accent on creating more and more green areas. 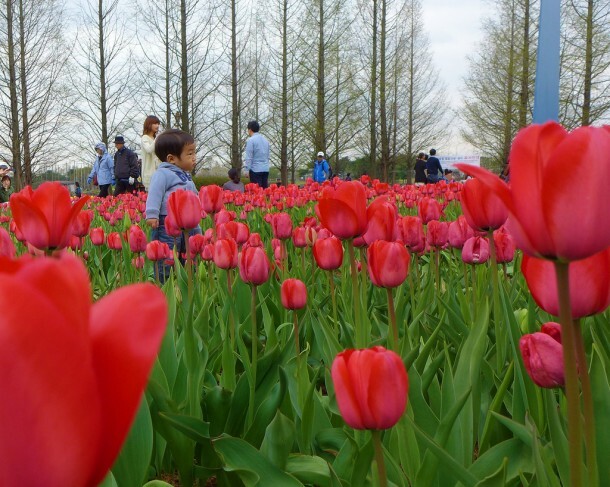 This article presents some of the best outdoor places in Osaka. Nagai park is located in Higashisumiyoshi-ku, Osaka and it is one of the best parks to visit in the city. It is a perfect place for a walk and for a picnic as well. 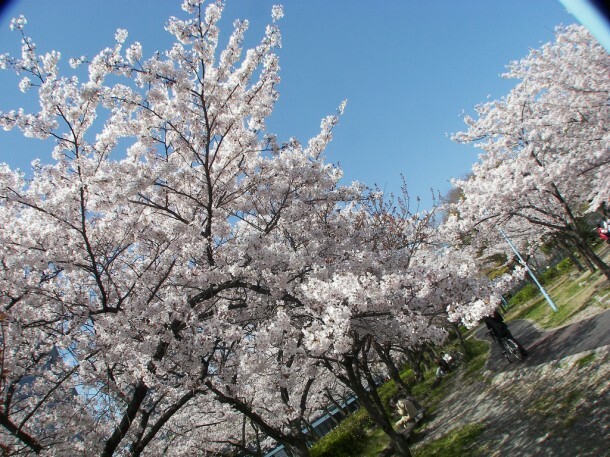 The park has many trees, especially cherry trees, so it advisable to visit this park during the cherry blossoming. The park gives home to two athletic stadium, a tennis court, in- and outdoor swimming pools, a sumo ring, a baseball field and Nagai Botanical Garden. The entrance to the Botanic garden costs 200 Yen. 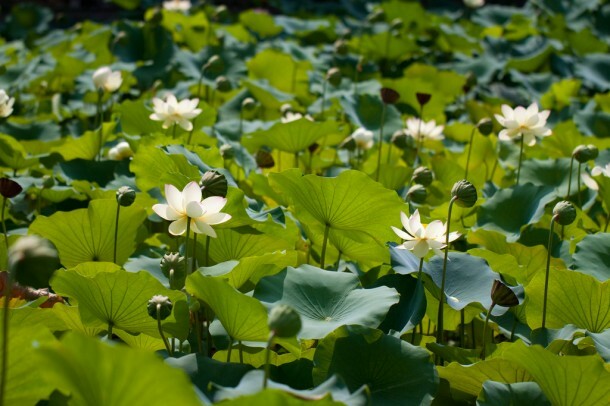 The address of the park is: 1-1 Nagaikoen, Higashisumiyoshi Ward, Osaka. It is the first public park of the city, opened in 1891. It is located on the Nakanoshima sandbank, between two rivers: Dojima and Tosabori. The total area of Nakanoshima Park is more than 11 hectare (27 acre) and it is probably the most beautiful park in Osaka. The park gives home to several institutions, such as Osaka Central Public Hall, the Museum of Oriental Ceramics or Osaka Prefectural Nakanoshima Library. Besides these, one of Japan’s most beautiful rose gardens can be found here as well. The park’s address is 530-0005 1 Nakanoshima, Kita-ku, Osaka. The site of the International Garden and Greenery Exposition from 1990 was turned into a nice park. The park emphasizes the beauty and large variety of the flowers, because thousands of flowers blossom here every spring. The 106 hectares of the park are more than enough for a walk. 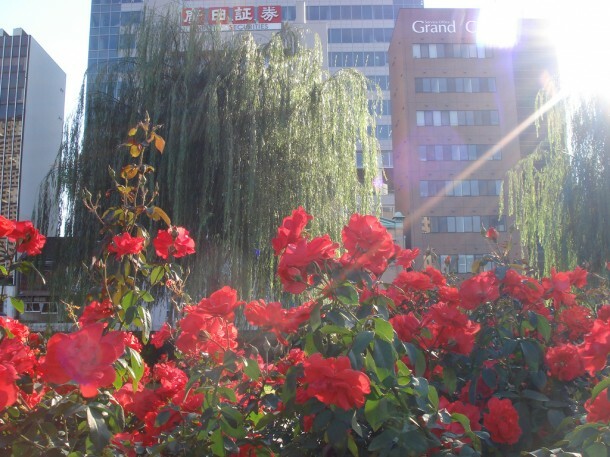 As one of the most beautiful outside places of the city, this park has a very nice look: the large pond, the windmill (also symbol of the park), the rose garden, a Japanese garden and a tea ceremony house all provide an unforgettable memory for the visitors. The address is 538-0036 2-163 Ryokuchioken, Tsurumi-ku, Osaka. Mino Park (also known as Minoh or Minoo) is a large forested valley near Osaka. 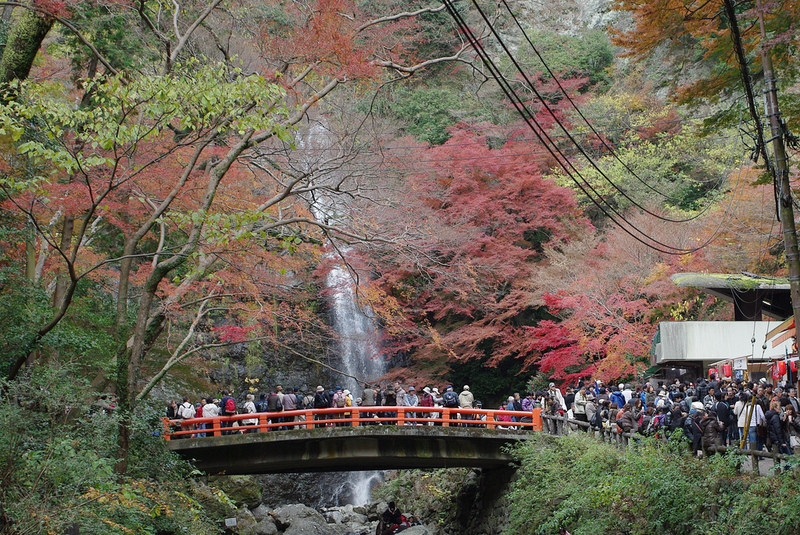 On contrast with most of Japan’s parks, it is not visited for its cherry blossoms, but it is mostly visited during Autumn, when the fall colors provide a stunning view. The shrines and temples located in the forest emphasize the beauty of this outdoor place. If you want to run away from the noisy metropolis, Mino Park is the best place to visit. Not only because it is for a 30-minutes distance from the downtown of Osaka, but the silence and the tranquility of the place will calm you as well. Even a 33 meters high waterfall can be seen here. This beautiful park is located between Kema Araizeki and Temmabashi Bridge. Being a riverside park, it includes Water Square and Mint buildings as well. It is one of the best cherry blossom viewing spot in Osaka: it has approximately 4700 cherry trees! The address of the park is: 530-0025 1-chome, Nakano-cho, Miyakojima-ku, Osaka.